The Radar isn't quite as impressive as the Titan, but it is still a solid device, that will surely please many users looking for a slightly smaller device. It shares a lot of basic features with the Titan, but the hardware is all its own. 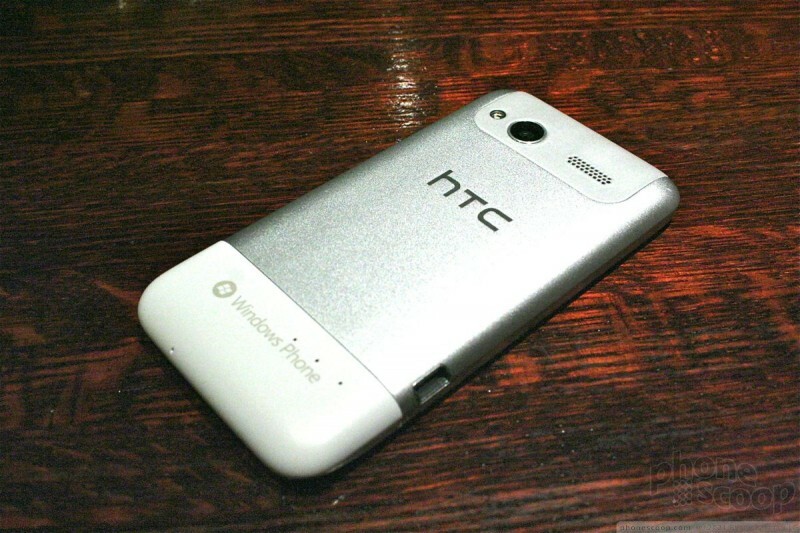 The Radar's HTC lineage is unmistakable. 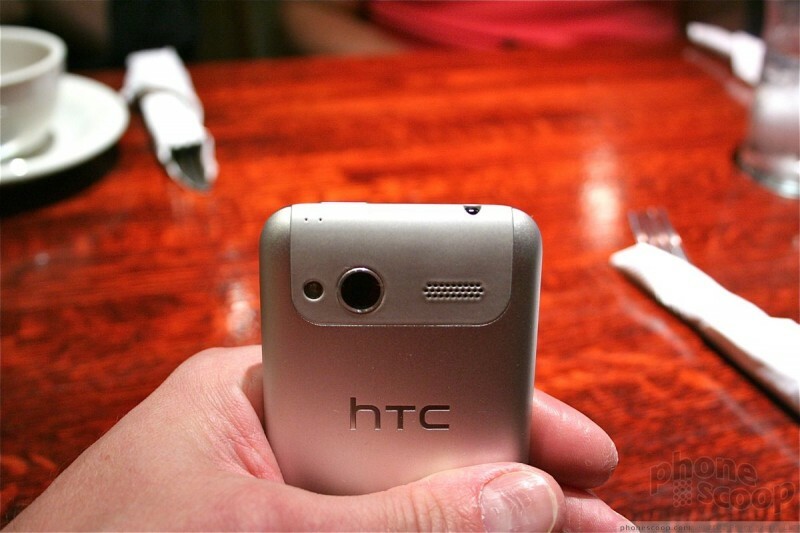 From a distance, it will be easy to confuse the Radar with some of HTC's mid-range Android devices. 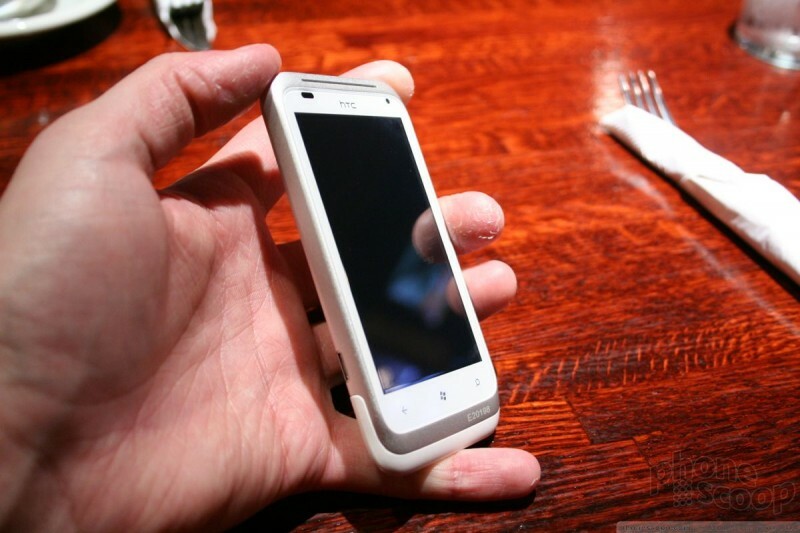 It has an aluminum unibody chasses for rigidity and strength, which is complimented by plastics and glass. Aluminum is an awesome material, and feels great wrapped around portions of the Radar's body. As with the Titan, fit and finish are spot-on. The smaller 3.8-inch display makes for a smaller device all around, and the Radar nestles comfortably in the palm of your hand. The comfortable shape makes the device a pleasure to hold and use. There's a lot less space dedicated to the display on the front, and there is more room around the three capacitive buttons along the bottom for the standard WP7.5 controls: Back, Home, Bing Search. They worked well and were responsive. A microUSB port us on the left side of the Radar, and the volume toggle and camera button are on the right. Both of these buttons are easy to find and use, and offered good travel and feedback. The camera — and even the photo galleries — can be accessed from the locked device by pressing and holding the camera button. This is still one of WP7's best features. The 3.5mm headset jack and power/lock button are on the top, right where I like them. The power button was OK, but not great. I thought it was slightly difficult to find quickly, and the travel and feedback wasn't satisfying. 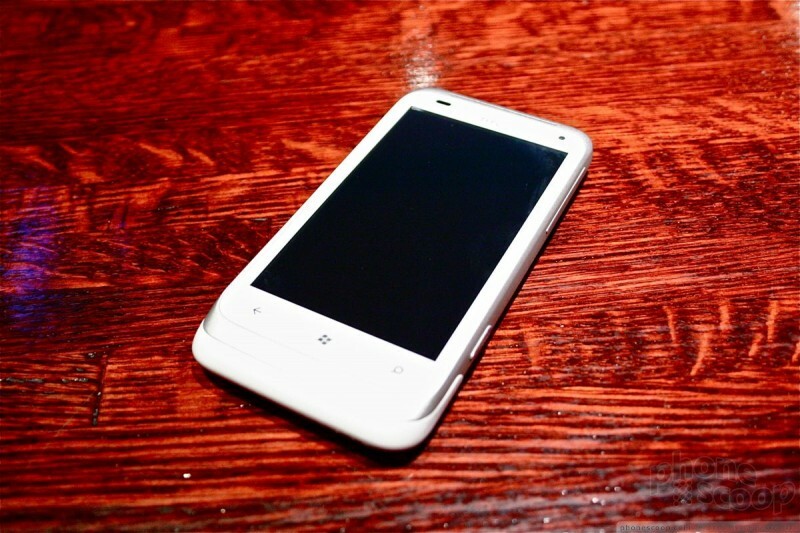 As with the Titan, the Radar is among the first smartphones to run with Microsoft's Windows Phone 7.5 Mango operating system. With a dual-core 1GHz processor providing motivation, the Radar was extremely responsive. On the surface, the basic UI doesn't look at that different when compared to WP7, but you'll eventually notice that the settings menus have more to them, and there are more programs and controls in the full application list. The Radar has all the same customizations that HTC gave to the Titan. 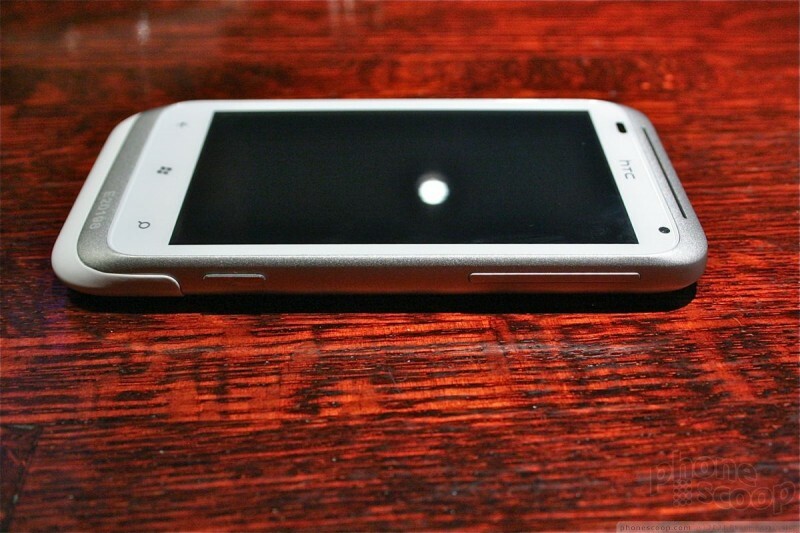 That includes the expanded HTC Hub, which has far more HTC-developed applications available than before. The premiere app HTC was demonstrating is HTC Watch, which is its own content store for music and video. Rounding out the specs, the Radar comes with a 5-megapixel camera with F2.2 lens, autofocus, LED flash, and 720p video capture. It also has a VGA user-facing camera. The Radar's 3.8-inch display has 800 x 480 pixels, GPS, Wi-Fi, stereo Bluetooth, and 8GB of on-board storage. Other features include 5.1 surround sound, a bevy of sensors, and HSPA+ 3G at 14.4Mbps. The Radar may be smaller in stature when compared to its titanic sibling, but that doesn't mean it should fall off the radar for those interested in WP7.5 Mango. It's a solid little performer that carves out its own niche.